Microsoft just launched the preview of Azure Migrate, a new service that it originally announced at this year’s Microsoft Ignite event. The goal of Azure Migrate is to make it easier for users to make the switch over to Azure. Here’s a bit more about the new service. In basic terms, the Azure Migrate service enables both agentless and agent-based discovery of VMware-virtualized Windows and Linux virtual machines. It also enables quick assessments so that only the VMs that will work within Azure are actually transferred. To accomplish this, the tool can assess whether a VM suitable for running in Azure, what the right Azure VM size would be based on a number of factors including utilization history of CPU and network, and how much the recurring Azure cost would be considering discounts like Azure Hybrid Benefit. The assessment can also offer users suggestions of migration services to use for each specific workload, like Azure Site Recovery if you’re working with servers or Azure Database Migration Service if you’re transferring databases. Then you can also use other Azure offerings like Azure Security Center, Azure Cost Management, and Azure Backup to keep your VMs secure and well managed once the migration process is complete. Azure Migrate is now supported for production deployments and available to Azure customers in the West Central U.S. region at no additional charge. 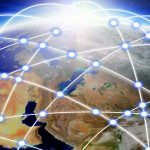 Even though Azure Migrate is only available in that particular region at the moment, users in that region can still plan migrations for other target regions. 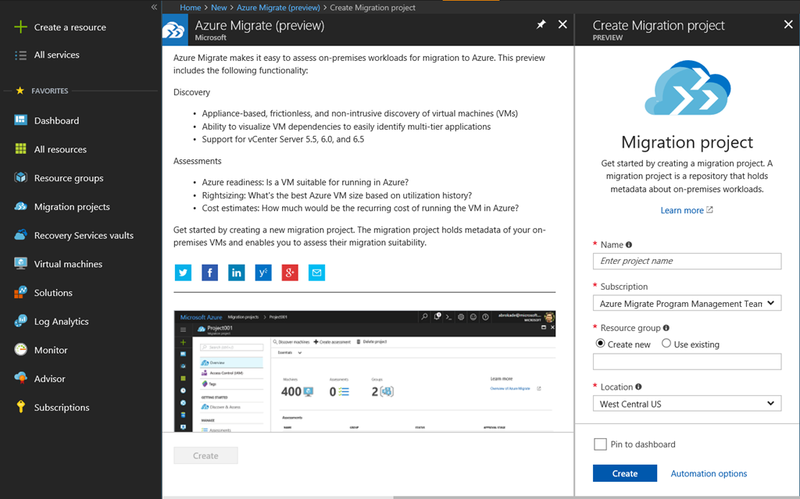 To get started, you can create a migration project in the Azure portal. You no longer have to request access to this feature, so it should already be available in your Azure dashboard if you meet the requirements stated above.